This loop route through the prairies is one of the best ways to spend a summer day. This is one of those times when it is all about the journey. Hitting the open road is also a classic prairie experience. This drive is a loop that includes a stop in Longview where you can get jerky and see restored stage coaches. When you are done there, it’s on to Bar U Ranch. If you have never been to Bar U, you are missing out. 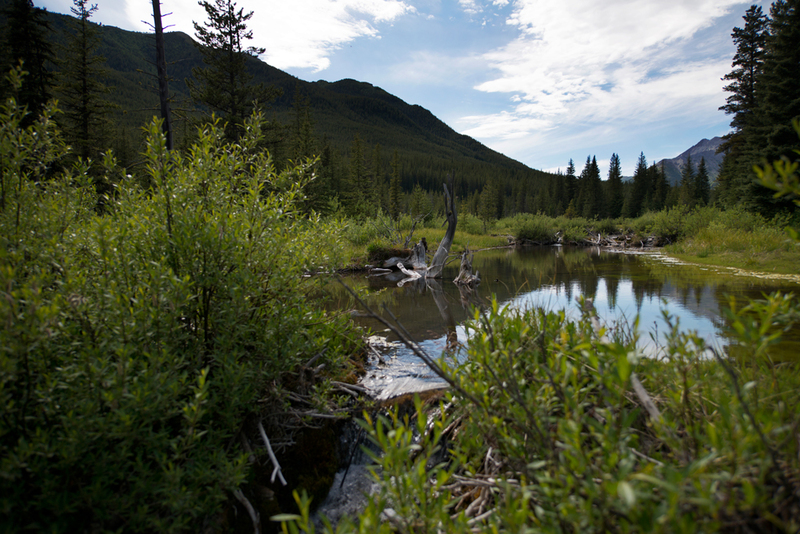 It’s a National Historic Site and part of Parks Canada. 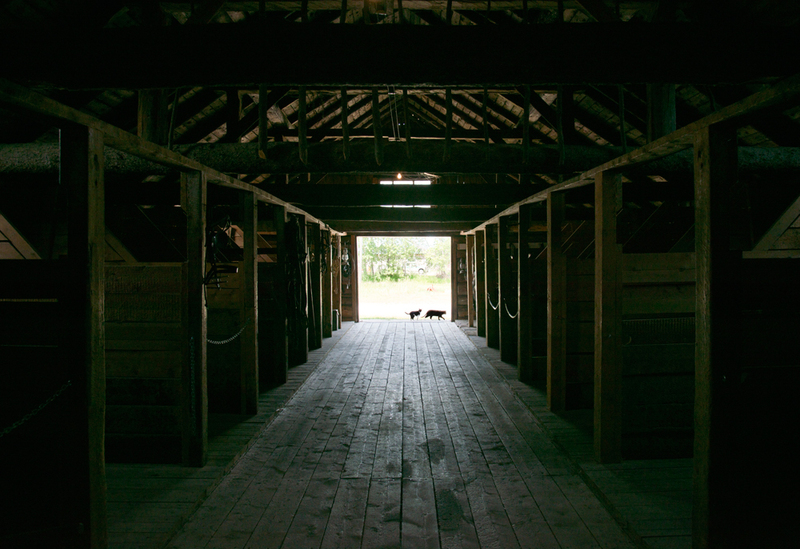 The 148-acre site is all about ranching. Your first stop is in Longview, formerly known as Little New York (neighbor to the north: Little Chicago, now known as Royalties). 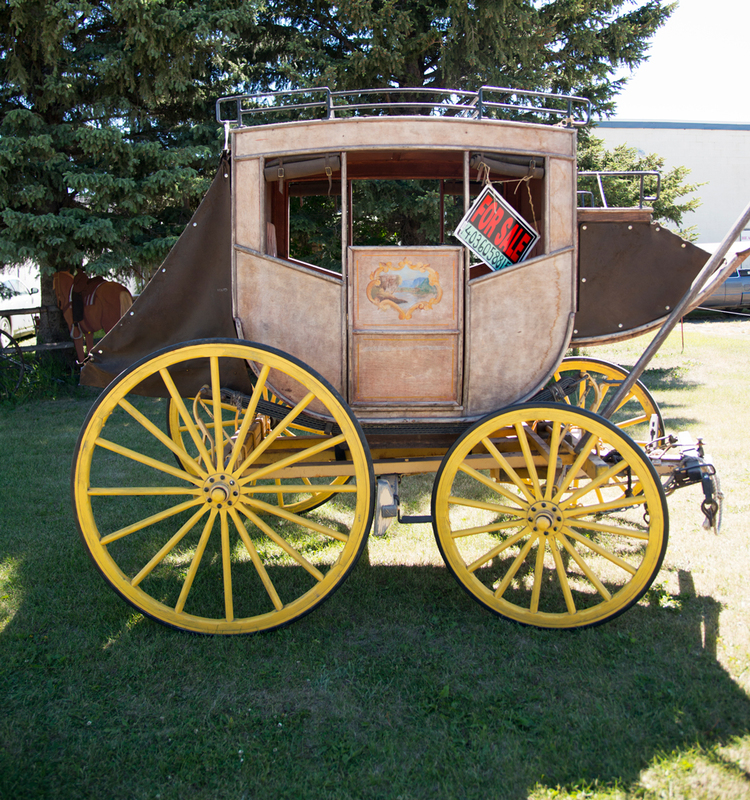 Stop in at Wild West Wagons to see the work of Wayne Grouett who rebuilds and restores coaches and carriages of all kinds, including the Concorde Stagecoach parked out front. 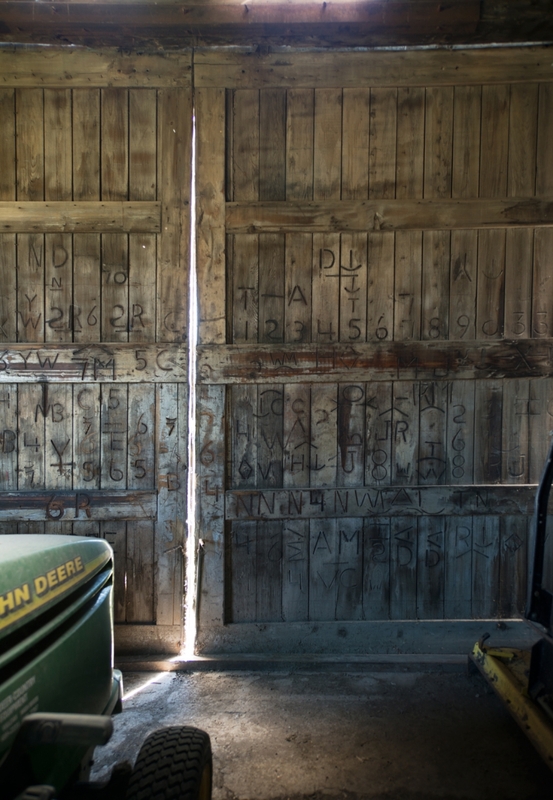 The back wall of the old Hayden’s Machine Shop (now a car wash), is covered with the brands it’s been making for local ranchers for decades. Established in 1946, it outgrew its smaller shop and moved next door. While in Longview, stop at Longview Beef Jerky to pick up some snacks on your way out of town, and continue south to the Bar U Ranch. 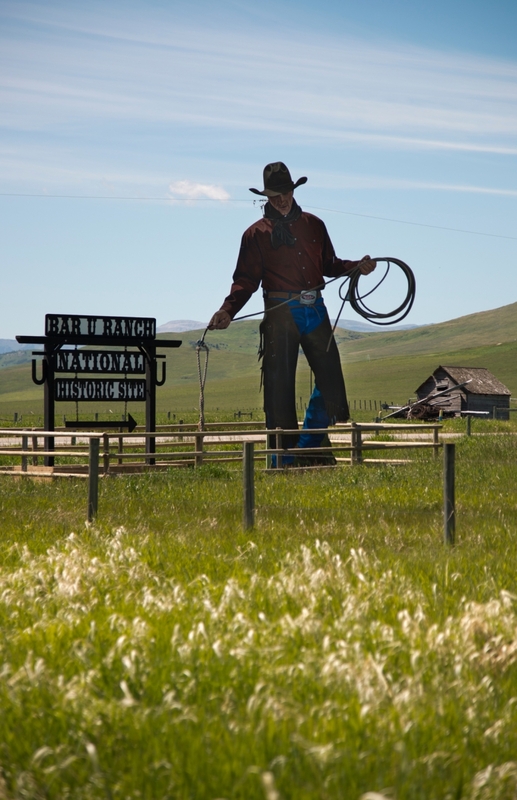 The Bar U Ranch is worth a visit for the scenery alone, but you can also learn all about Alberta’s rich ranching history. 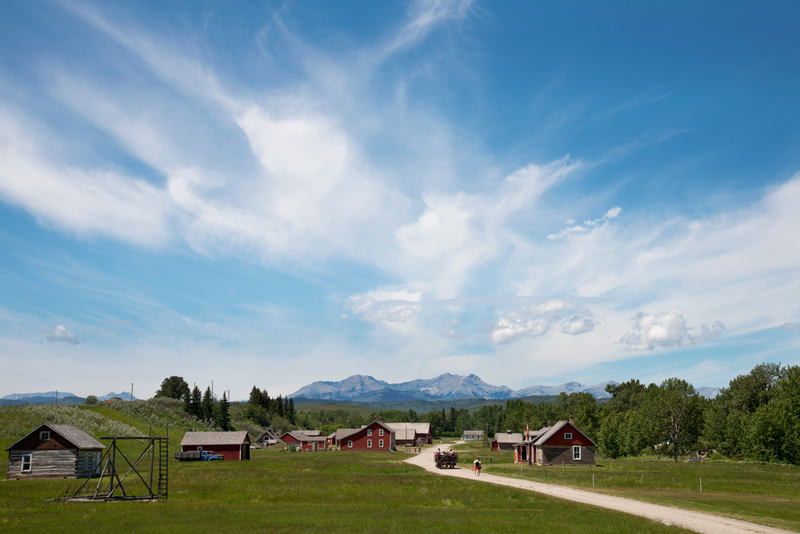 The ranch is a Parks Canada site, so if you have a Parks pass, bring it inside for admission. Bring a picnic lunch. You can sit up at the top of the rise near the statue of George Lane and enjoy the view before heading down into the park proper. 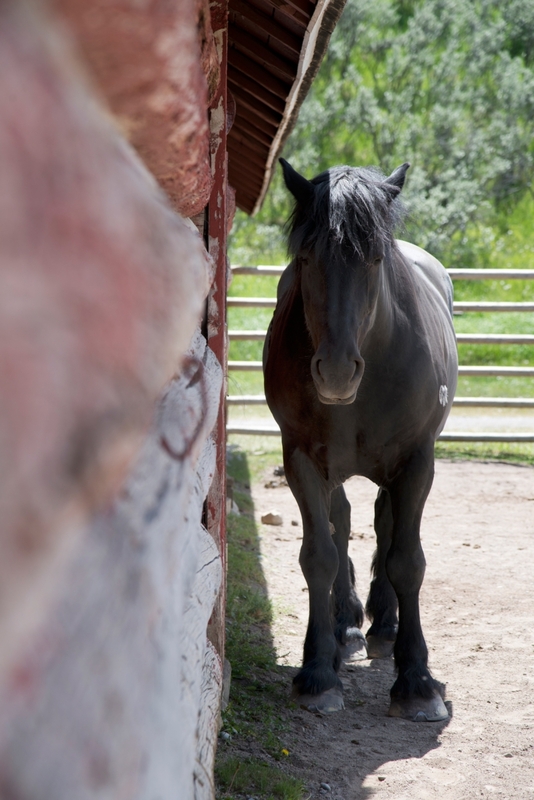 You can walk down if you like, or catch a ride in a wagon drawn by a pair of the Bar U’s famous Percheron horses. Once bred as war horses by Napoleon, in the early 1900s the Bar U had the largest herd of these sought-after draft horses in the world. Now the ranch has just a few of these horses left, including two rare greys. It’s worth the ride to hear the stories the gentlemen driving the wagon tell. All the buildings at the ranch, right down to the outhouse, have the same historic designation as the Parliament buildings in Ottawa. Visit the Roundup Camp across the creek to get an idea of what “Home on the Range” was all about, and ask to see some wonderful photos from the ranch’s early days. 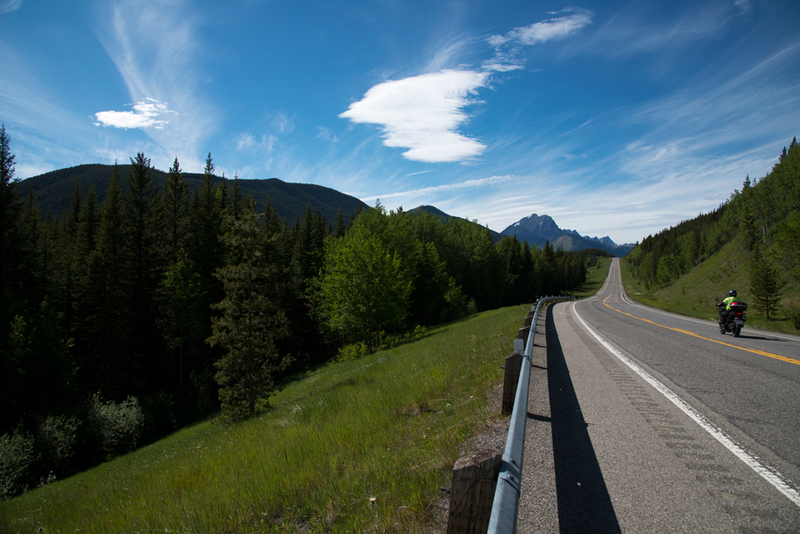 You could retrace your steps to get home, but it’s just as easy and twice as nice to go back through the Highwood Pass. Double back to Longview, but instead of staying on Hwy 22 north, take the Hwy 40 east. You’ll soon find yourself in this lovely forested mountainous terrain. 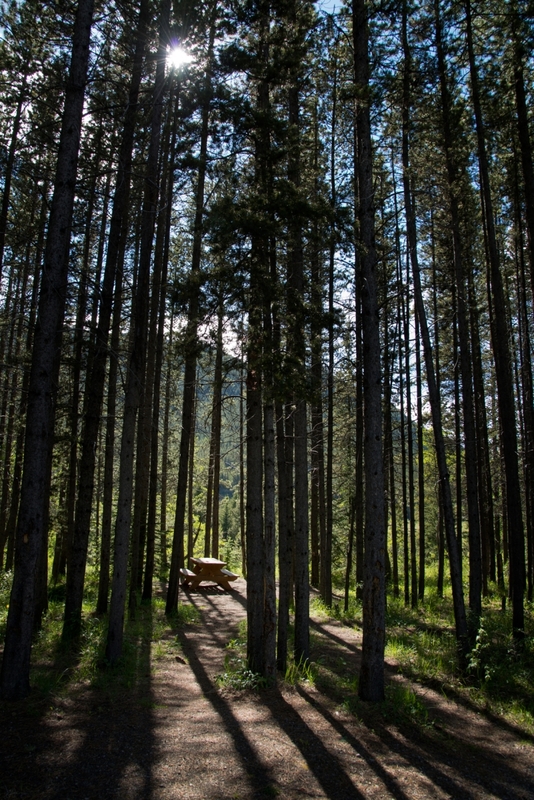 There are plenty of picnic areas along the way to stop if you’ve packed some dinner. The Trout Pond day use area (turnoff on the east side of the highway) is particularly nice, with tables and small firepits tucked into groves of tall pines. If you feel like a bit of a walk before you eat, follow the paths leading downhill from the Trout Pond picnic area. You’ll find a magical series of terraced pools surrounded by wild orchids, elephant head flowers, and brilliant green moss. It’s quite marshy though, so be prepared to get your feet wet! 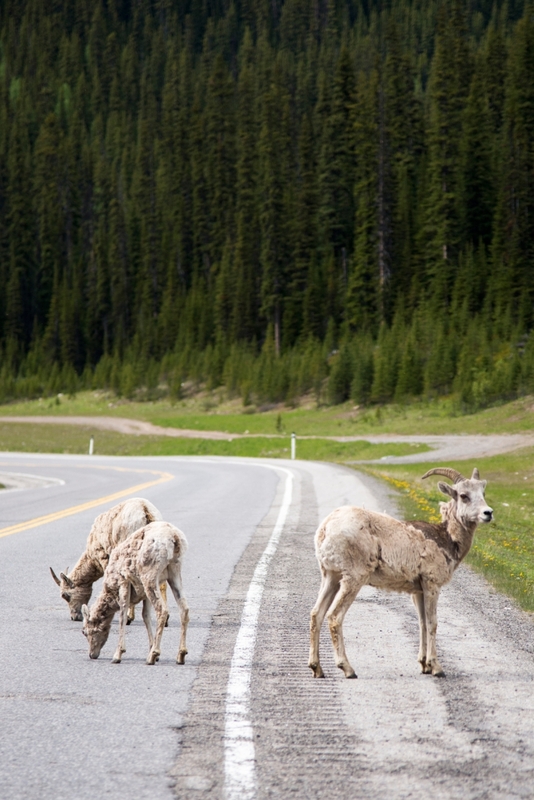 Highway 40 is closed from mid-December to mid-June to help keep these guys (and other wildlife) safe. Some days it seems like there’s another herd of Bighorn Sheep around every corner – right now they are shedding their winter coats and are looking hilariously shaggy. To get home, the 40 bears north and will take you right up to the Trans Canada. Turn east, and follow Hwy 1 back to Calgary.